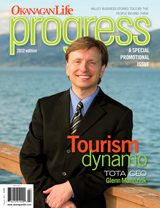 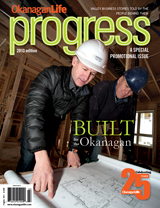 Our Progress 2019 issue features Okanagan business profiles told in their own words plus a full feature on second, third and fourth-generational family businesses prospering in the Okanagan Valley. 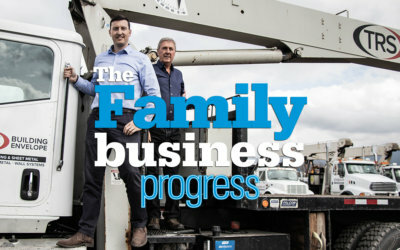 What are the family bonds that keep business all in the family? 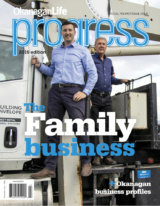 On the cover is TRS Building Envelope's Robert and Tom Greenough. 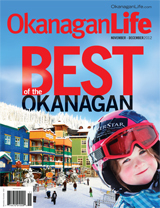 Our readers have voted for 2018 Best of the Okanagan awards. 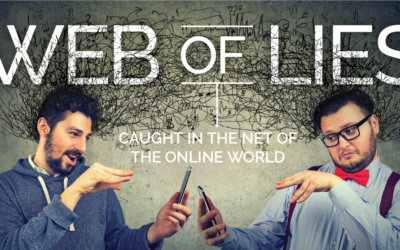 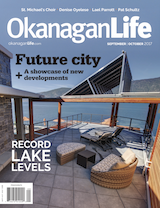 Young Jaeden Izik-Dzurko tickles the ivory, Dr. Evans makes new dino discoveries and writer David Wylie is digging deep into the deceit on the web. 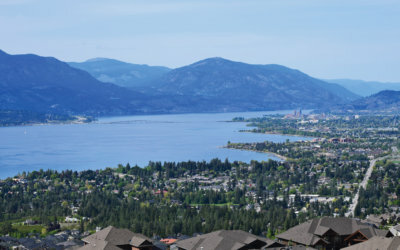 Our wine reviews explore the richness of big Bordeaux-style reds from Bartier Bros., C. C. Jentsch Cellars, Hester Creek, Poplar Grove, Rollingdale and Summerhill Pyramid Winery. 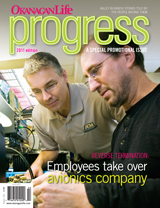 Check back to Our Pages for articles posted from this issue. 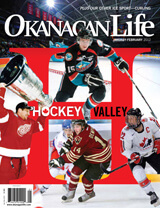 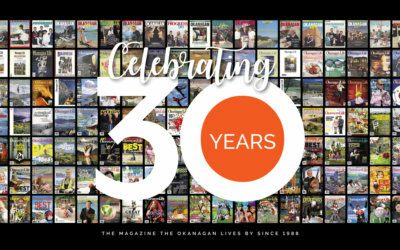 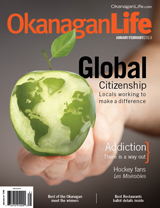 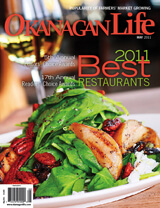 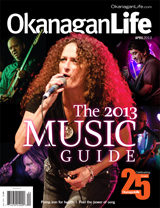 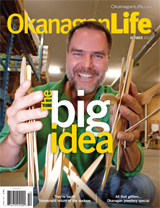 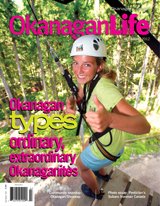 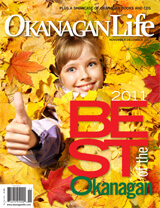 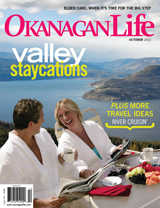 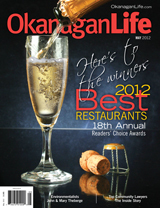 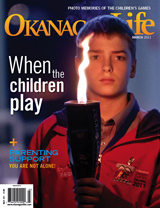 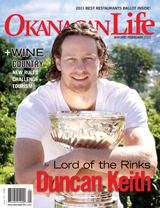 Our October/November issue celebrates 30 years of bringing our readers the stories of the Okanagan. 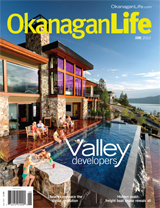 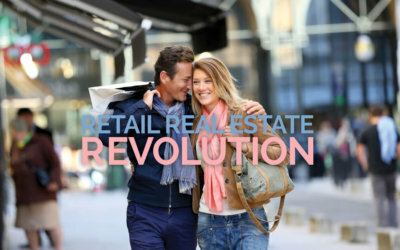 Our real estate developers are mixing it up in our feature story. 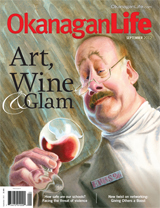 Writer Patti Shales Lefkos is marking milestone birthdays, Judie Steeves is in the kitchen at True Grain Bakery, and wine reviewer Mireille Sauve is exploring the distinction of Okanagan Falls wine. 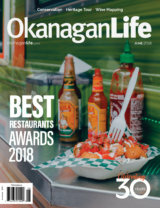 BC craft beer reviews plus our 2018 BC Cider Award winners. 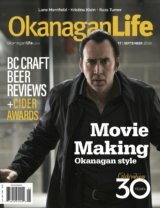 Movie making Okanagan Style - Nicolas Cage films in the Okanagan. 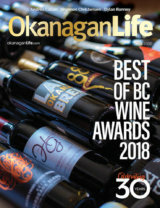 Our May 2018 issue features the great vintages from the Okanagan Life's 2018 Best of BC Wine Awards. 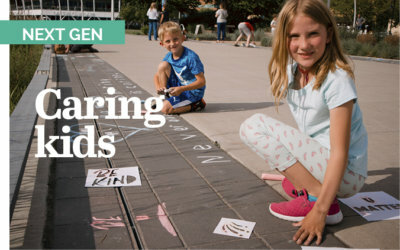 Our feature Ready golf! 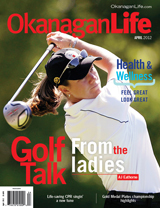 explores the new rules and new moves for golfers. 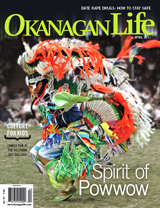 We explore the traditional foods of the Syilx people at Indigenous World Winery and we're in person to with Shannon Christenson from Mamas for Mamas. 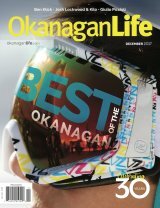 Annual subscription plans for home delivery are available. 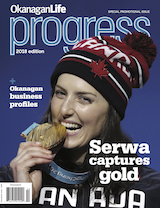 Our Progress 2018 issue features Okanagan business profiles, the Olympic Gold Rush as Okanagan Olympians fly high and fast on the hills of PyeongChang; and an in-depth look at how the Okanagan economy heats up when the temps cool down — Winter Economic. 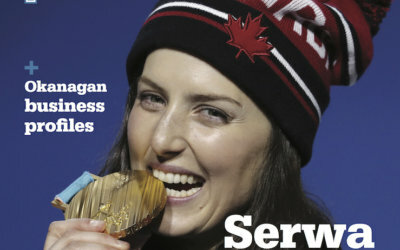 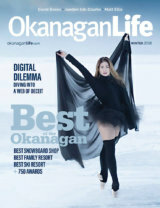 On the cover is Kelowna's Kelsey Serwa celebrating her Olympic gold in ski cross. 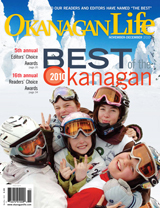 Search our site for online articles from past issues. 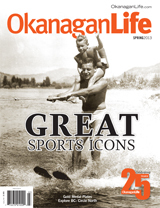 See our archive of Feature stories. 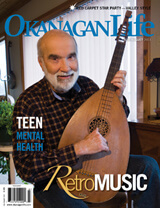 PDFs of our archives are available. 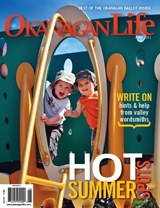 For issues not available online, please email our web editor or search our site for online articles from past issues. 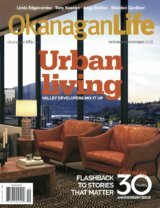 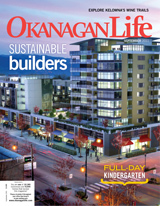 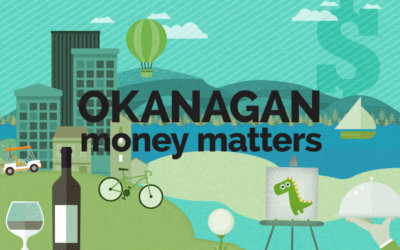 Okanagan developers are reviving urban centres with a mix of workplaces, greenspaces and lofty living.